Good news awaits the 2016 Beneficiaries whose stipulated time is coming to an end . 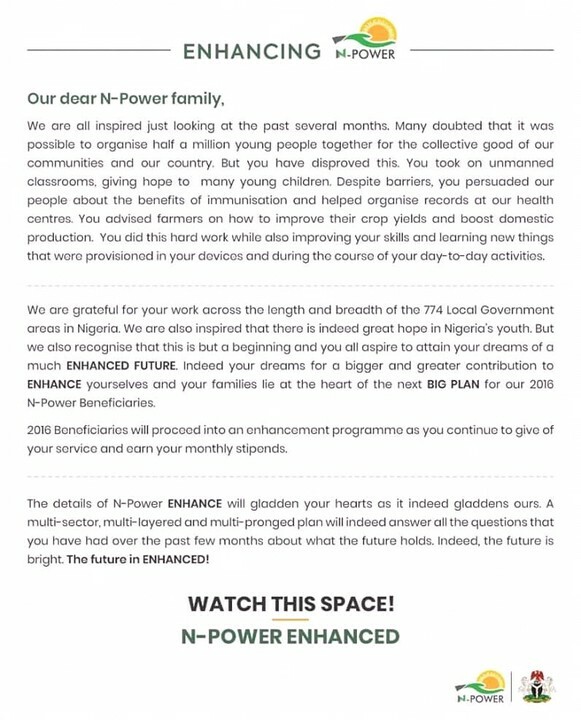 The federal Government of Nigeria has decided to enhance them in a special package yet to be announced. This is according to the information provided by Npower on their official Facebook page. See attached photo for more details.